Ever wanted to know your chance of catching Pokemon? Enter in the Pokemon and Pokeball you wish to use. See the catch chance change under different mixes of Pokemon level, berries and Pokeballs. Min and max catch chances are shown either side of the slider. Detailed explanation below. On a difficult Pokemon like a high level Charizard, fully empowering your throws can increase catch chance over 15 times compared to a basic Pokeball. 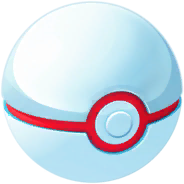 Catch chance increases with Pokeball Type, Curve Balls, Razzberries, Type Medals, and the size of the coloured ring when you throw the ball (smaller is better). Each of these effects has its own multiplier (shown immediately above) and they all multiply together to achieve the Total Multiplier. This total multiplier multiplies the chance that the Pokemon stays captured. Note that Pokemon encountered after a raid are always level 20 Pokemon. The size of the ring and whether you curve ball will not affect the colour of the ring, but all of the above factors do affect the catch chance. Higher level Pokemon are more difficult to catch and some species are just more difficult to catch because they have a lower "base catch rate", see all Pokemon and their base rates at 神奇寶貝統計. If you don't capture the Pokemon, each species has a chance to flee. The multi-throw catch chance graph shows the probability that you have caught the Pokemon after X number of throws. It makes no adjustment for the chance to flee of each Pokemon since by definition, if you have a chance to throw a 14th ball, the Pokemon has not yet fled. The multi-throw graph exemplifies how beneficial it is to stack as many multipliers as possible over many throws, particularly for legendary raids. The catch chance benefit of throwing a curve ball is better than throwing a great ball and almost as good as an ultra ball, always curve ball. The catch chance benefit of throwing the ball when the circle size is at its minimum is as good as throwing an ultra ball, both will about double your catch chance and together, quadruple it. If it's just a Pidgey or Weedle and your circle is already pretty green, don't worry about its size. Go for an easy 10-50XP with a Nice/Great throw since you don't need a big catch chance boost from a small circle. The colour of the rings in this tool match exactly the colours in game thanks to some stunning research by u/dondon151. Ring size calculation is still tentative but accurate to a reasonably large sample size thanks to a lot of work by u/RhyniD. The SizeMulti increase from 1 to 2 as the coloured ring's size decreases relative to the grey ring. The CurveMulti increase from 1 to 1.7 if the trainer curves the throw. The BallMulti increases from 1 -> 1.5 -> 2 as the trainer uses better balls. 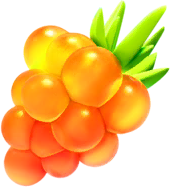 The BerryMulti increases from 1 -> 1.5 -> 2.5 if the trainer uses RazzBerries or their golden variety.